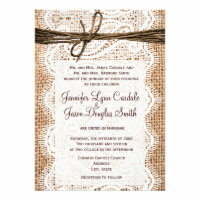 Lace has always been a very traditional style choice for weddings, especially church weddings. 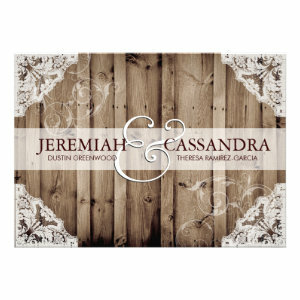 Our Lace Wedding Invitations are a lovely choice for all kinds of wedding themes. 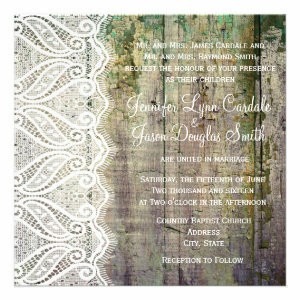 Delicate and elegant, this beautifully intricate fabric was extremely popular, and, luckily with trends like shabby chic and vintage themed weddings it has remained a popular choice for couples looking to get married. 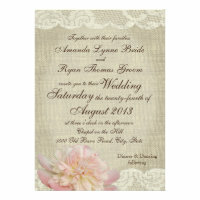 Each of the lace wedding invitations feature different styles and designs of lace. 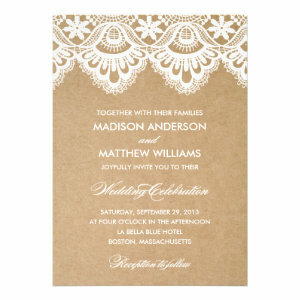 From dainty filigree lace detailing surrounding the wedding party information, to fully decorative boarders hemmed in lace, they are designed to display your wedding celebration details clearly and beautifully. 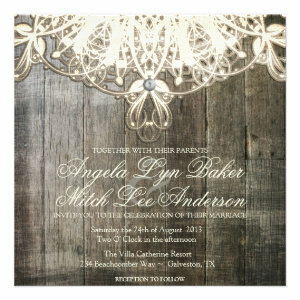 Every part of the Lace Wedding Invitation text is customizable. 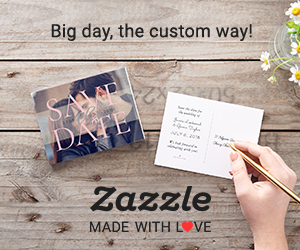 You can either keep the existing font and just add the guest name and wedding celebration details, which is the easier option, or change the text completely. 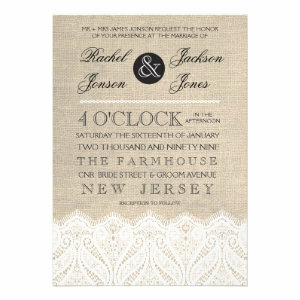 Whether you are looking to have a traditional wedding, a classic wedding, Steampunk wedding, or something else, our Lace Wedding Invitations are a beautiful choice and compliment a lot of other styles.